Address: Jl. Padma Utara, Legian, Bali, Indonesia. 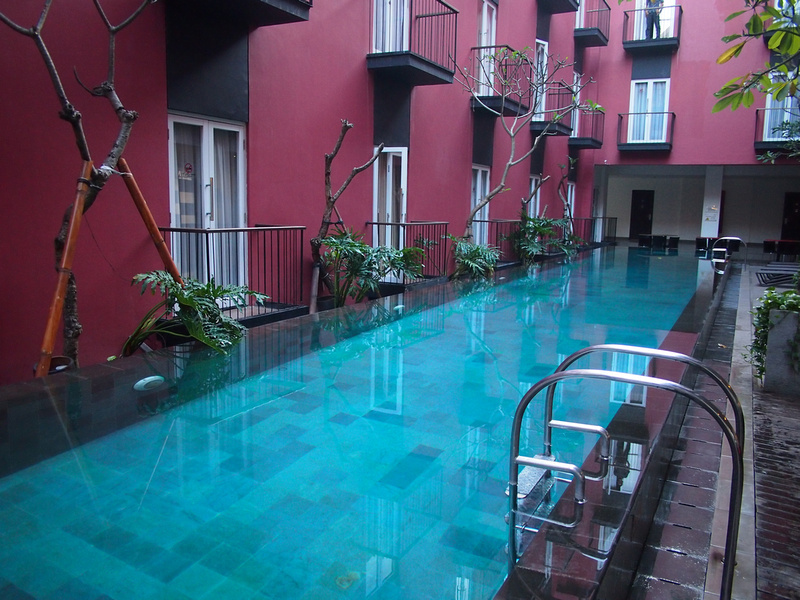 I stayed at the Amaris Hotel in Legian for one night with a booking via Agoda.com. I booked it for its location which is not far from the beach and a 10 minute walk to Double Six Road. 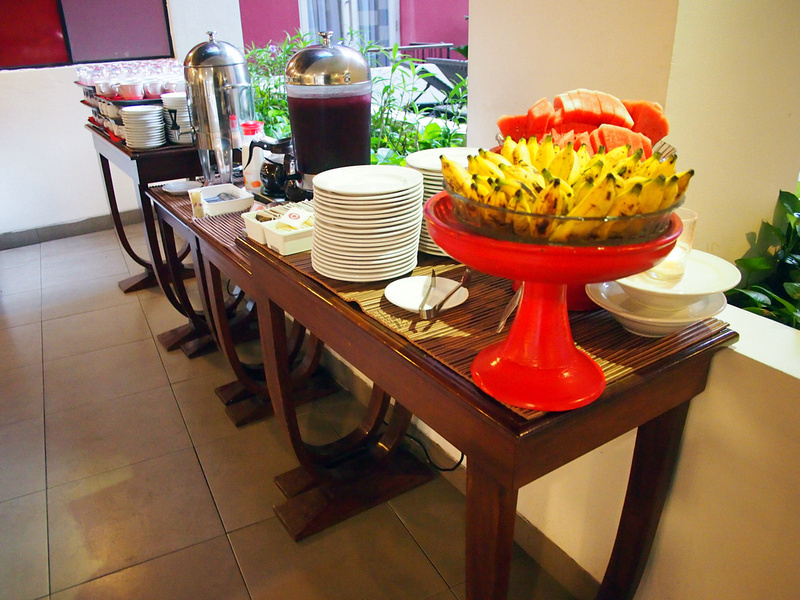 Amaris is a hotel chain from Indonesia that offer modern economy hotels. Smart, clean rooms with modern fittings but basic features. Breakfast was included with my booking which was the usual all you can eat breakfast buffet. In the foyer of the hotel is the swimming pool, which the building wraps around. 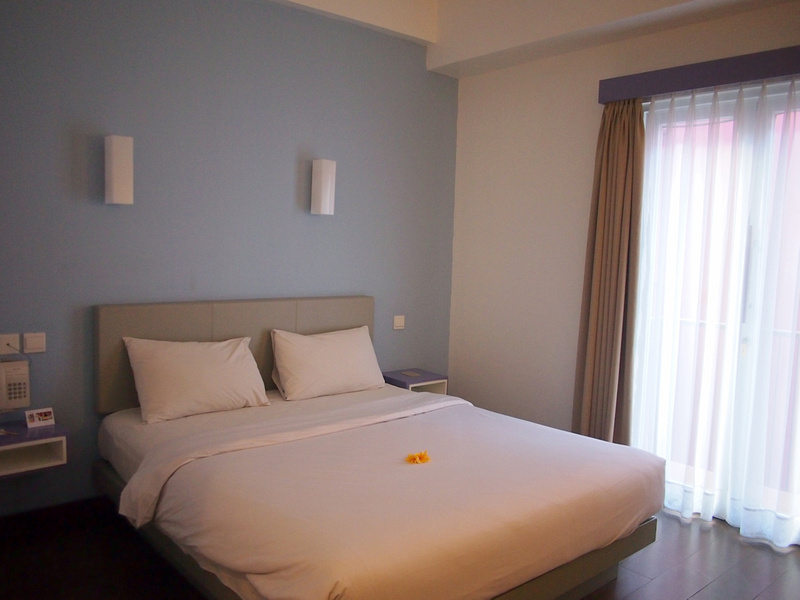 Overall this was a good option for a budget hotel in Legian if you don’t mind these boxy modern hotels. 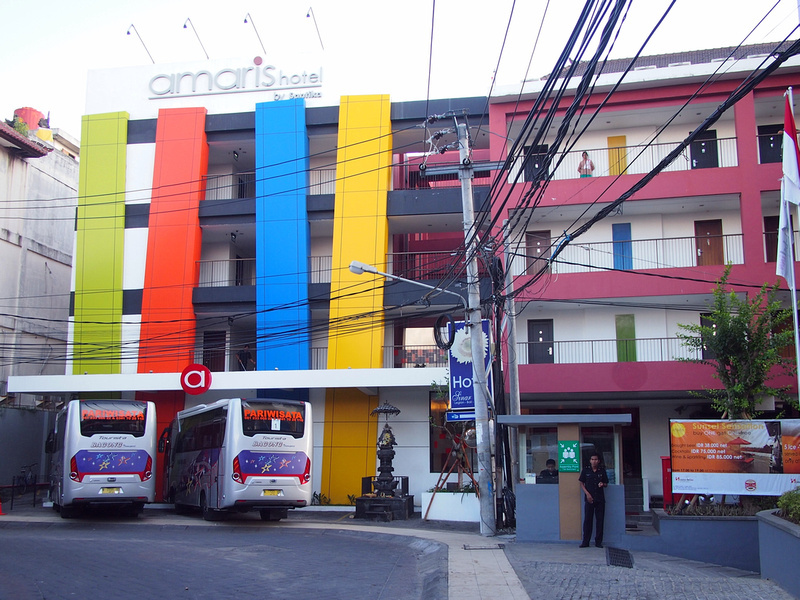 Book the Amaris Hotel online or search for more hotels in Legian. For more information on Bali visit the Bali Travel Guide.